We are among the leading organizations engaged in manufacturing and supplying a commendable range of Rectangular Inductive Proximity Switches. Manufactured in accordance with the established norms of the industry, these switches are highly appreciated by the patrons for their reliability and quality standard. 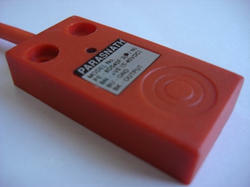 All these switches are manufactured by using optimum quality material procured from the trusted vendors of the market. 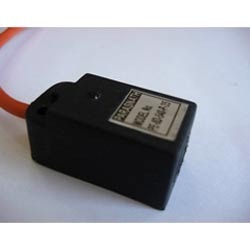 Owing to the vast experience of this domain, we are engaged in manufacturing and supplying Inductive Proximity Switches - Rectangular. Our professionals make use of latest technology, machines and quality-approved material, while manufacturing these switches. Our experts supervise these switches at the production level, so as to develop high quality switches. 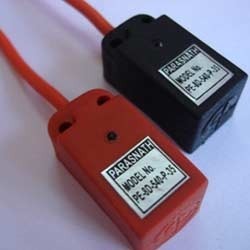 These switches are also available in customized range as per the requirement of the customers. 5. MAX. LOAD CURRENT : 300 mAmp. 7. SWITCHING FREQUENCY : 400 Hz. 9. NO LOAD CURRENT : >10.0 mAmp. 10. RESIDUAL CURRENT : 0.001 mAmp. 13. H.V. TEST : 1.5 KV for 1 Sec. 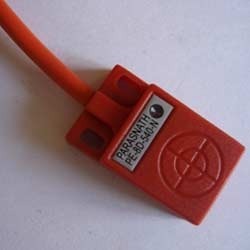 With firm commitment to quality, we are engaged in manufacturing and supplying Rectangular Inductive Proximity Switches. The inductive proximity switches we are offering are manufactured under the strict supervision of experts, in compliance with the established norms of the industry. In addition to this, these switches are manufactured by using quality-tested material, which we procure from the reputed vendors. Customers can also avail these switches in customized range as per the specifications provided by them. SMPS (switching Mode Power Supplies) etc. We also mfg. 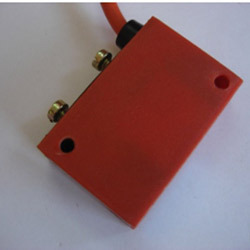 Control PCB Card and its sensors for the Vehicle Tracking for Petrol & Diesel trucks etc.